Welcome to the Yorke Trust! Music can make an enormous contribution to a happy life. It is something which should be available to all young people, above all to those who have musical talent which might otherwise remain unfulfilled. Our aim at the Yorke Trust is provide opportunities for students and children from all walks of life to study and to perform in the un-pressurised atmosphere of the North Norfolk countryside, away from the competitive environment of university and school. We have been doing this to the highest possible standards since the foundation of the Trust in 1984, and we have been doing it virtually free of charge. Our work began with the Yorke Mini-Bass Project, an innovative scheme to enable children to play the double bass, for which we received generous funding from the Calouste Gulbenkian Foundation. Acquisition of premises in Norfolk enabled us to broaden our horizons and focus on singing as well as providing facilities for instrumental courses and workshops for children. Trustees invite you to join them in planning for the future and help continue this valuable work in the years ahead. You can do this in a number of ways: by coming to events; by making a donation or by remembering us when making your will. You are invited to participate in another exciting opera project! The Tempest or The Enchanted Land is a comedy adapted by John Dryden and William D’Avenant from Shakespeare’s comedy The Tempest. Much of the musical setting is attributed to Henry Purcell with some thought to have been written by other hands. 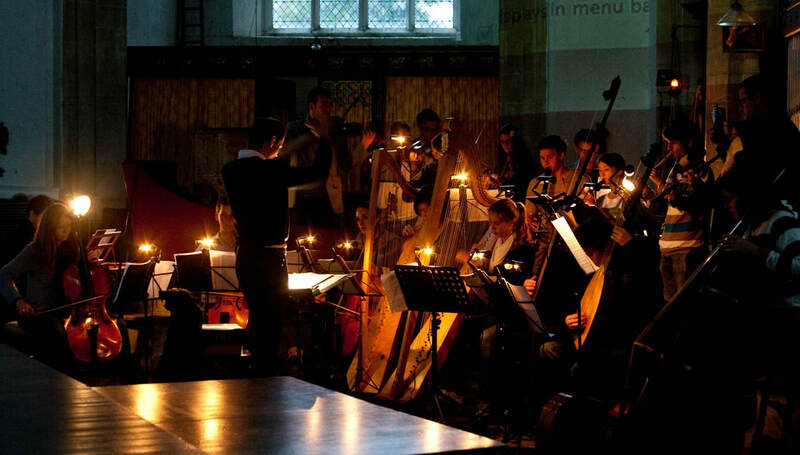 The score is cast in the same mould as Purcell’s fully accredited dramatic works and offers a similar range of music. The choristers will be will be joined by young singers drawn from conservatoires who take the principal roles in the opera, assist the chorus and are resident for a fortnight’s training course. An ensemble of leading young instrumentalists under the direction of an award winning, promising young conductor will accompany the singers. For further information about joining other local choristers to sing in the opera on Friday 26 and Saturday 27 July, please contact Carol Jennings on 01328 738482, email carol.jennings2@btinternet.com for further information. Tickets at £20 and £18 for Friends of the Yorke Trust are available online from www.wellsmaltings.org.uk or by phone 01328 710885. The Yorke Trust launches a new Friends scheme! Our aim at the Yorke Trust is to provide opportunities for students and children from all walks of life to study and to perform in the un-pressurised atmosphere of the North Norfolk countryside, away from the competitive environment of university and school. We have been doing this since 1984 and we have been doing it virtually free of charge. Trustees invite you to join them in helping to continue this valuable work in the years ahead. By becoming a Friend of The Yorke Trust, you join a group of supporters whose generosity provides a regular income to help us fulfil our aims. For more information, visit our "Become a Friend" page on the website or download the Friends Application Form which has all the information you need.